Hello, second week of school. I’m settled back at school in Illinois, where I’m reconnecting with friends and starting to study. So far I love living in a house with my six best friends. All six of us are rational and considerate, so we’ll never have conflict. Stop laughing. I know we’ll have disagreements, but for now we’re on top of the world finding each other and the house. I know the transition to fall vegetables has begun, since I saw Brussels sprouts at the farmers market last weekend. That being said, it’s time to roast carrots. This is the simplest side you’ll make, but it looks fancy and delicious. Heat oven to 450 degrees. Arrange carrots on jelly roll pan in a single layer and coat with olive oil. Sprinkle cumin, salt, and pepper on carrots. 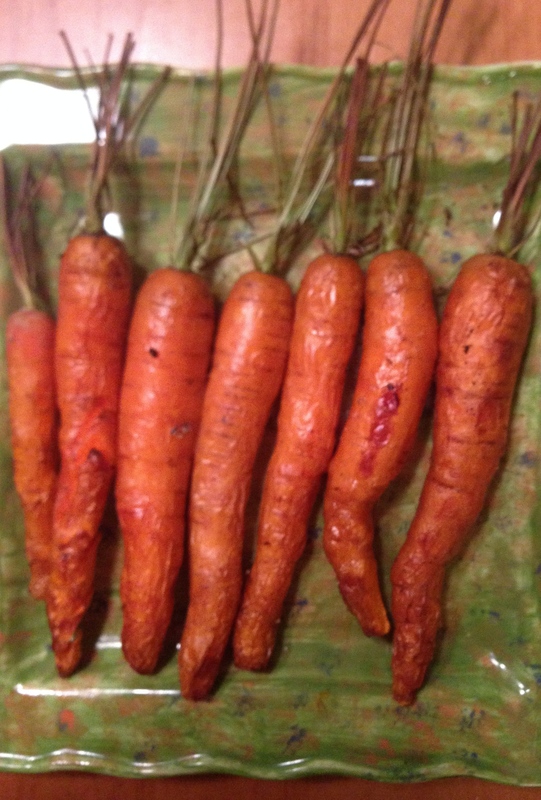 Roast carrots in oven, turning once, for 35-40 minutes, or until carrots are soft.